Anyone who has ever suffered the occasional severe headache or chronic migraine knows what it means to want fast, effective relief, along with the prevention of painful recurrences. Obtaining temporary relief often seems a more attainable goal to patients seemingly stuck in a never-ending cycle of pain, but there is hope. Here are 3 ways to find chronic headache/migraine relief, including those related to a TMJ disorder. A SPHENOPALATINE GANGLION (SPG) block offers a needle-free approach to severe and chronic migraine pain. Essentially, an SPG is a local anesthetic that works by blocking the underlying causes to your headaches. In five minutes or less your dentist can administer this anesthetic by inserting a cotton tipped catheter into your nose. This method often provides relief that last from several hours to a couple of days. Orthotics are custom-fitted dental appliances that provide a temporary solution to a misaligned jaw. This appliance initially helps your jaw muscles to relax and heal, and then it helps your dentist to find the natural resting position for your jaw. This not only provides temporary relief from TMJ headache symptoms, but it also helps to prepare the jaw for a more permanent solution. A full mouth reconstruction takes your entire jaw and dental structure into consideration. This approach to providing dental treatment for TMJ, as well as headache/migraine pain, often involves multiple individual procedures to correct any specific dental issues that are causing your imbalanced bite. The longterm goal is total correction of your bite and jaw alignment. When your bite and jaw are properly balanced and aligned, your jaw muscles can relax and heal. In turn, this helps to resolve your TMJ disorder, along with the accompanying painful symptoms. 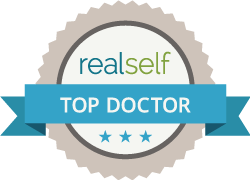 Contact Dr. Ira Shapirato arrange for a consultation in the Chicago, IL area. Using his expertise as a Physiologic Dentist, he will first do a thorough examination of your jaw and dental structure to help determine the source of your pain. This detailed information will help Dr Shapira devise a personalized treatment plan to help resolve your TMJ, along with your headache/migraine pain.